The Perfect Time To Post On Facebook? 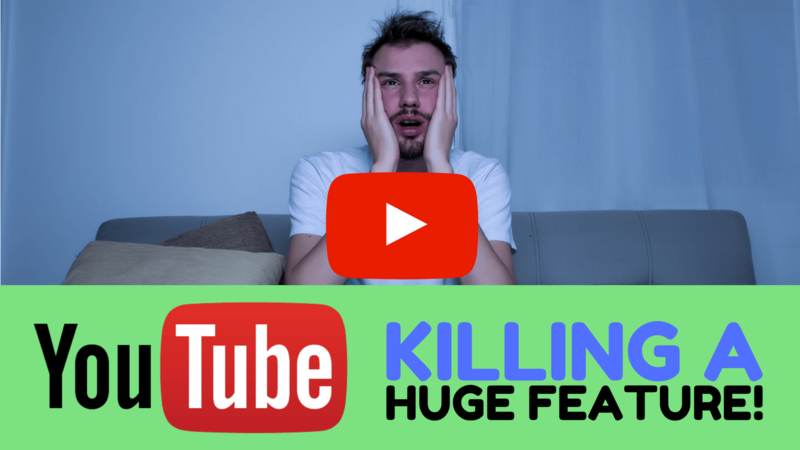 In breaking video news this week, YouTube have announced that they are killing off Annotations on the 2nd of May. Annotations are those small overlays that sometimes appear during a YouTube video. Many creators use them to add a call to action, or to amend a mistake in the video. Annotations were never designed to work on mobiles, so currently viewers on mobile devices don’t even see them! An astonishing 60% of all views are now taking place on mobile devices, so YouTube is optimising for mobile views. YouTube is pushing video creators to use Cards and End Screens as they’ve been designed to work on mobile devices. End screens allow you to prompt viewers to watch another video, subscribe to your channel, or click out to your approved website. If you have current videos with important Annotations, don’t worry! Existing Annotations will remain, but you won't be able to add new ones. Going forward, make sure you are adding End Screens to all of your videos to encourage viewers to consume more of your content. There isn’t a perfect time! Every Facebook user has their own daily routine. Some like to check Facebook once a week, some like to refresh their news feed every few minutes! Throw into the mix the different timezones people live in, and you’ve got yourself an ever changing worldwide audience. The best time to post for a Plumbing Company in Australia, might be the worst time for a Digital Marketing Consultant in the US. Ashley Read of Buffer.com recently shared that during peak viewing times, there are on average 1,500 pieces of content that could be shown in someone's news feed! If the user has lots of friends, or follows lots of pages, then that number can rise to 15,000! So what this means is that you need to test different times of the day. Post at some obscure times, as it might reveal an opportunity for you to jump on. If all of your competitors post in peak times, try posting off peak. Most importantly, review your stats on a regular basis to see what times are working best for your audience. CMSwire.com have lifted the covers on the latest WordPress update to reveal that finally a major security flaw has been patched. WordPress versions 4.7.2 and older are currently at risk of cross-site scripting (XSS). A XSS attack involves injecting malicious code into a legitimate web page which then runs a malicious client-side script when a visitor lands on the infected web page. If your website is built with WordPress, be sure to update to 4.7.3 NOW. If you don’t, your entire business is at risk of being derailed by hackers.